Planet Earth Adventures is an Alaska-based Tour Company with over 23 years of experience in providing high quality Alaskan Tours. Their knowledgeable, professional and friendly staff will ensure that you get the ultimate Alaska adventure. They are the travel experts who wants to share their knowledge and passion for the beautiful Alaska. 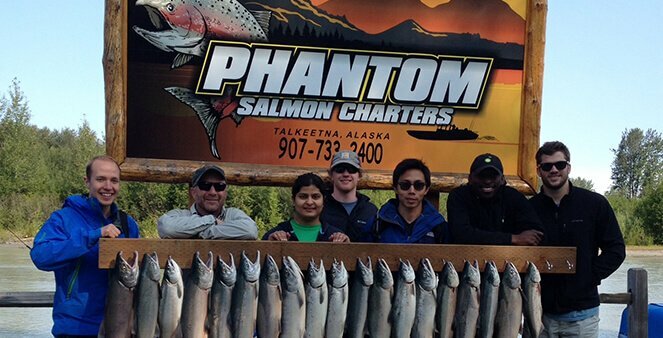 Phantom Tri-River Charters is your all-encompassing fishing charter in Alaska. They will help you cultivate a lasting memory of your time on the water with unique and one-of-a-kind fishing expeditions. Located between Anchorage and Denali National Park, Phantom Tri-River Charters is known for combining the peacefulness of the open water and the thrill of a destination fishing trip into one single package, where you’ll have the opportunity to cast your line like never before. 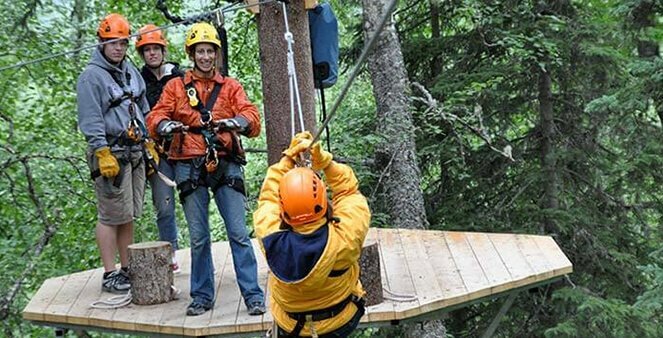 Denali Zipline Tours offers a unique 3-hour outdoor adventure that consists of a short orientation with the fitting of gear and safety instructions provided by certified guides. You begin with a few short zips from tree to tree progressing into longer and faster zip rides, all offering mountain vistas of Denali and the Alaska Range. 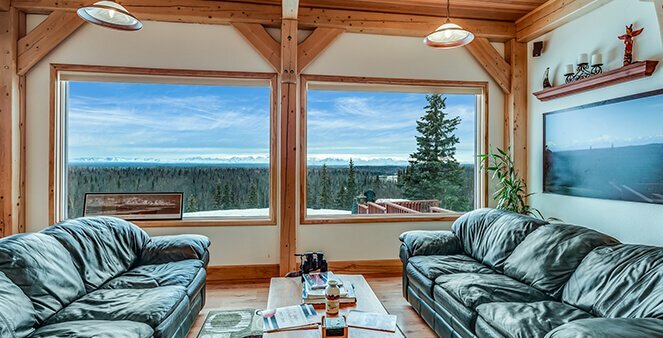 Located 120 road miles north of Anchorage, the “south side” perspective offers panoramic views of Denali National Park, with a boreal forest at your feet and Denali at your brow. North Shore Cyclery will guide you to experience a rad adventure to some of heir favorite local trails, viewpoints and even their secret gems. They have a wide variety of gear including bicycles, ski, snowshoes and rafts. 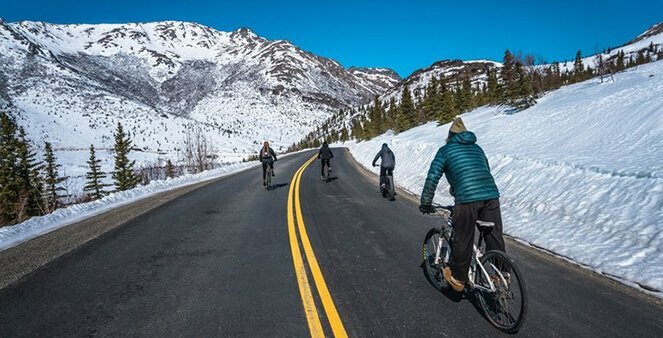 Their adventure tours are customizable for all level of riders and can include potential wildlife and Denali views, and lots and lots of fresh Alaskan air. Situated on the tip of a small bluff just five miles from Downtown Talkeetna, the Denali Overlook Inn is one of the most spectacular BNB’s in all of Alaska. The northern view shed is dominated by Denali National Park and Preserve with unobscured views of Mount Denali, Mount Foraker and Mount Hunter. The Denali Overlook Inn is open year-round and features outstanding views of the Aurora Borealis (Northern Lights) right from the Great Room or even your bed during late fall and winter! 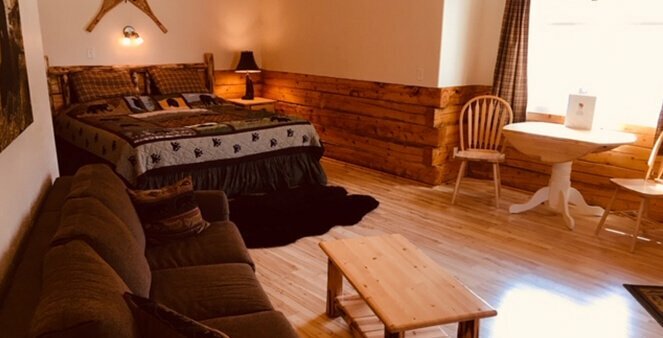 Denali Fireside Talkeetna lodging features hotel-quality amenities (but not pricey hotel rates) that includes quaint gas fireplaces, rustic log construction, custom log furniture and distinctive Alaskana decor. Denali Fireside’s lodging accommodations in picturesque Talkeetna, Alaska are located just a short walk from all the town’s many attractions including Mt. 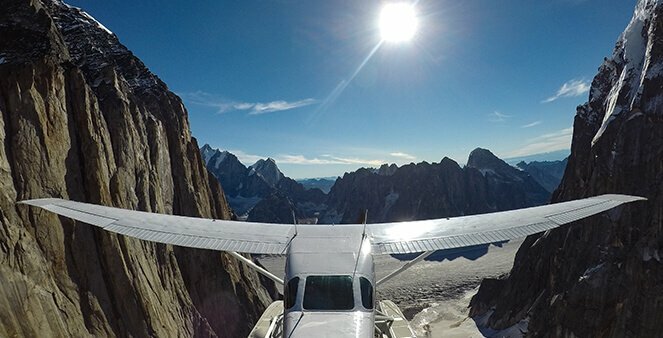 McKinley flightseeing, fishing expeditions, riverboat and rafting tours, ATV tours, summer and winter dog sled rides, the Alaska Railroad depot, the Talkeetna airport, museums, restaurants, pubs and gift shops.